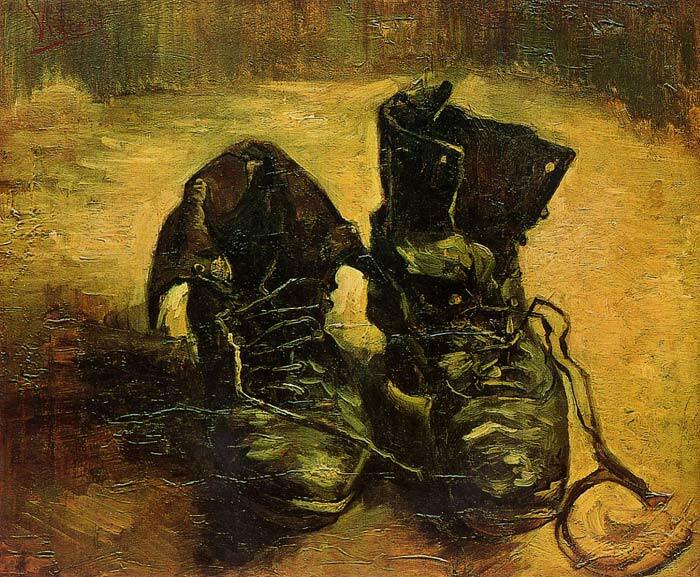 The contrast between Van Gogh's A Pair of Shoes and the Portrait of Pere Tanguy painted the same year is complete. A Pair of Shoes is vigorously painted, but the color and the implied humanitarianism are still on the dull and rather heavyhanded that is so bothersome in The Potato Eaters. SPECIAL NOTE : The painter will make the reproduction as close to the original oil painting as possible. If you want your painting to alter from this likeness, please email us and " A Pair of Shoes, 1886 " will be reproduced according to your special requirements.